Dabang Delhi K.C. came away 39-28 victors over Bengal Warriors in their Eliminator 2 encounter at the Rajiv Gandhi Indoor Stadium in Kochi on Sunday. A Super 10 from Naveen Kumar and ample support in the raiding department from Chandran Ranjit – the two scoring 19 of their team’s 22 raid points -- helped Dabang Delhi K.C. 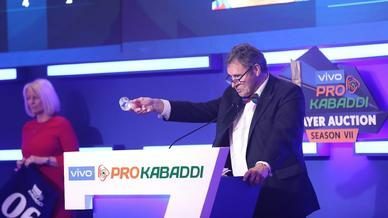 clinch victory in their first ever VIVO Pro Kabaddi Playoff match. The game started on an even footing before a bonus by Ranjit put Dabang Delhi K.C. on the board first, shortly after which a touch by Maninder Singh on Vishal Mane took him to 200 raid points for the season. A touch by Naveen on Ravindra Ramesh Kumawat gave Dabang Delhi K.C. their first touch points of the game in the fifth minute. Check out the photos from the match here. 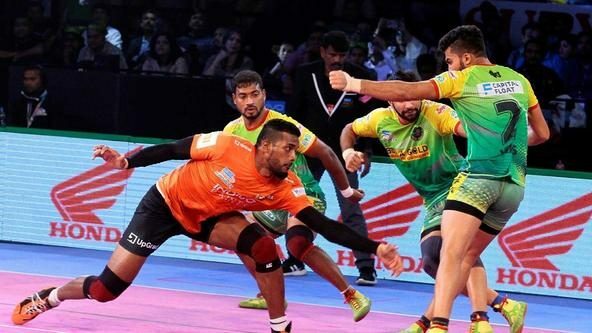 Joginder Narwal got the first tackle points of the game in the seventh minute as he managed an ankle hold on Maninder before Kumawat returned with touches on Ravinder Pahal and Vishal to go with a bonus in the 10th to record the game’s first Super Raid. A two-point raid from Maninder reduced Dabang Delhi K.C. 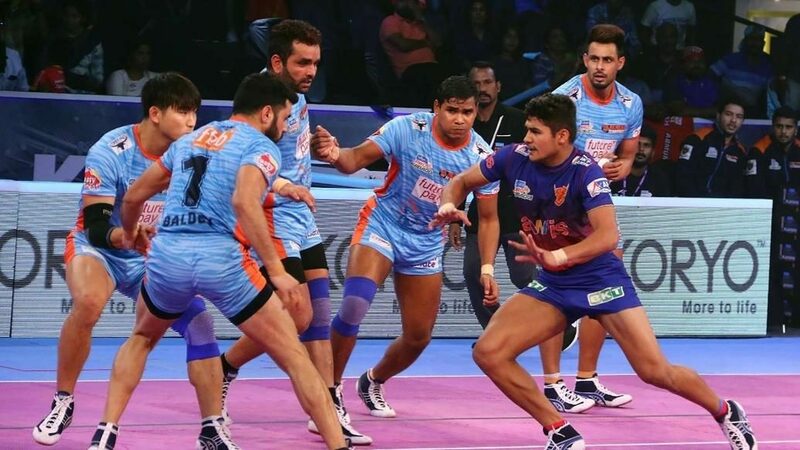 to a solitary player on the mat, however they came back to record the game’s first Super Tackle as Vishal managed a double thigh hold on Maninder to level the scores at 12-12. A block by Surjeet Singh on Meraj Sheykh reduced Dabang Delhi K.C. to two players on the mat before Ran Singh got touches in the final minute of the half to help Bengal Warriors inflict the first All-Out of the game. However, Ran stepped out of the playing area during that raid to give Dabang Delhi K.C. the final point of the half as Bengal Warriors led 17-13 heading into the break. The defences of both teams started the second half brightly, managing three tackle points out of the first five points scored in the half. 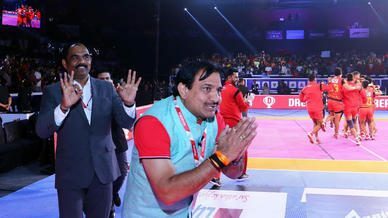 Naveen however pulled things back as he scored four of the next five points for Dabang Delhi K.C., as they scored eight unanswered points including an All-Out to go into the lead. Amit Nagar couldn’t score in a Do-or-Die raid to reduce Bengal Warriors to a solitary player on the mat before Naveen gave Dabang Delhi K.C. their first All-Out of the game. With Dabang Delhi K.C. 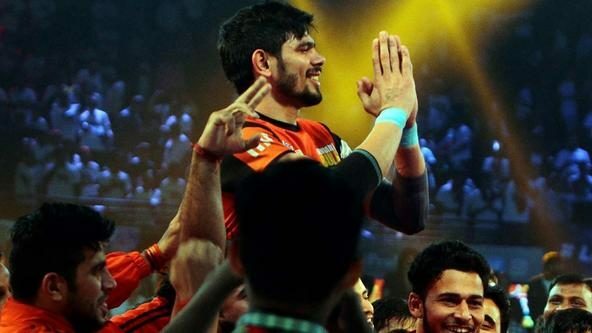 holding on to their lead, Naveen got a touch on Baldev Singh to get to his Super 10 before he got a touch on Ziaur Rehman to reduce Bengal Warriors to a solitary player on the mat. Pahal then got an ankle hold on Ran to help Dabang Delhi K.C. inflict their second All-Out of the game in the 14th minute, as they led by 10 points with the scores reading 33-23. Despite boasting of a big lead, Dabang Delhi K.C. didn’t slow down and were hungry for more points. 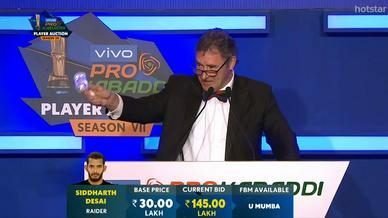 With their raiders consistently getting them points, the three veterans - Pahal, Mane and Narwal - managed a tackle point each to stretch their lead before Naveen got the final point of the game via a touch on Surjeet as Dabang Delhi K.C. entered Eliminator 3 with the win.